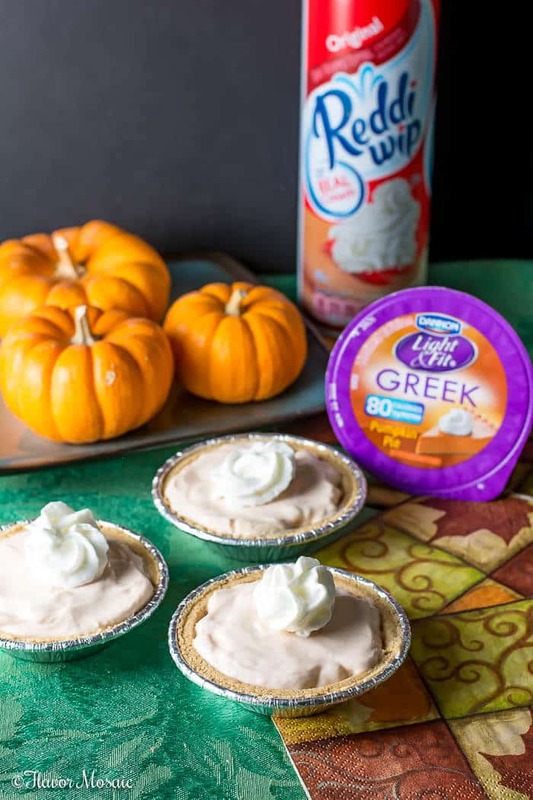 With the holiday season around the corner, these quick and easy Ginger Pumpkin Mini Cheesecake Pies, with only four ingredients, will save you time and stress during the holiday season. I can’t believe the holidays are around the corner. It is always such a crazy, busy time of year with shopping, wrapping, baking, company parties, holiday parties, etc. Often it can get so stressful, especially if you are hosting a holiday dinner or holiday party. Those are the occasions when I want to plan quick and easy desserts that I can make ahead of time so that I can enjoy the holiday party or dinner. 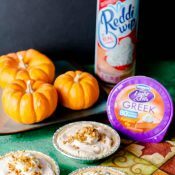 These Ginger Pumpkin Mini Cheesecake Pies are perfect for the holidays because with only four ingredients they are a snap to make. In addition, they are no bake, which is extremely important during the holidays because oven space is a premium when preparing holiday dinners. One of the other benefits is that these are mini desserts! I love mini desserts. They are becoming more popular these days. After eating a huge meal, these are a perfect size dessert and perfectly delicious! These also make great after school snacks for the kids. So make plenty to have on hand. They are so easy to make even the kids can make them. 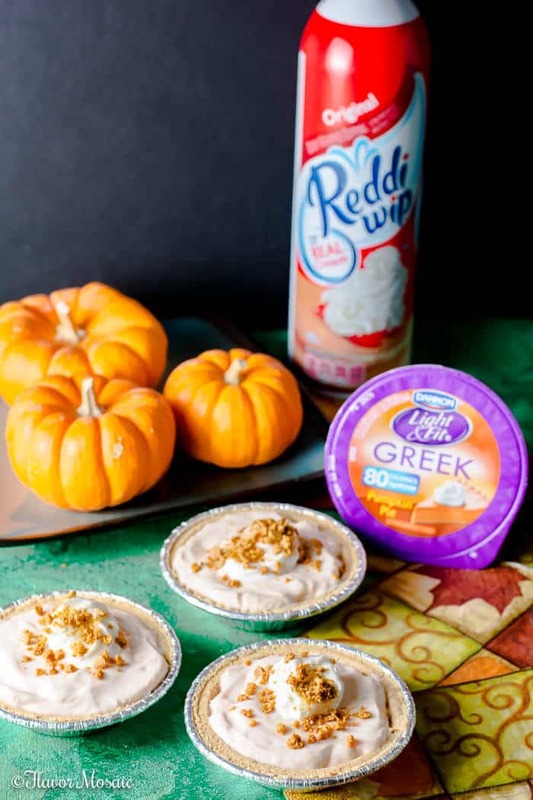 The key to these quick and easy Ginger Pumpkin Mini Cheesecake Pies are the Light & Fit® Pumpkin Pie Greek Yogurt® and the Reddi-wip® original. 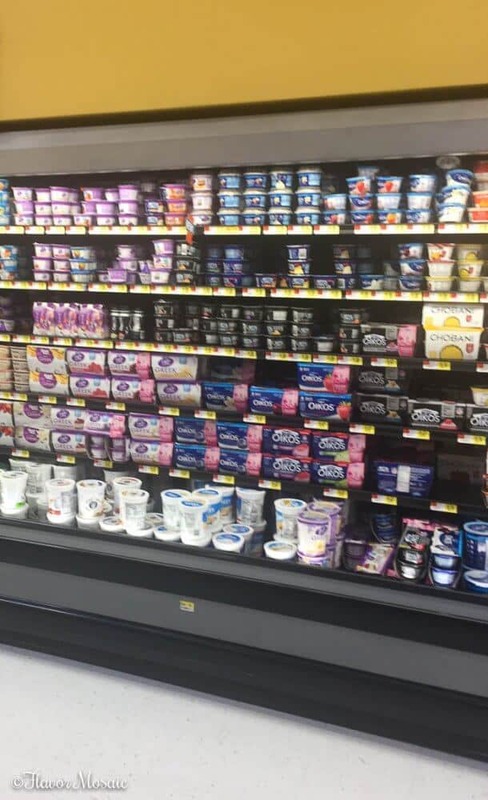 I was able to find both of these in the dairy section at Walmart. 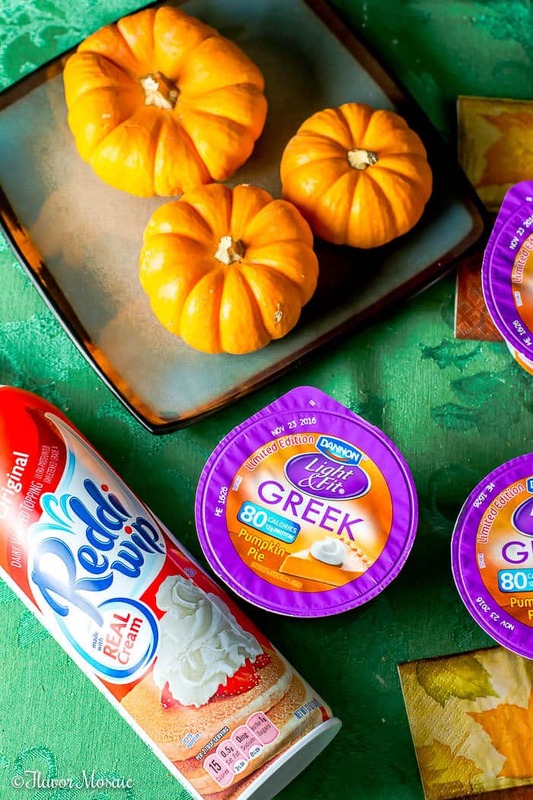 Buy (2) Reddi-Wip cans, earn $0.75. 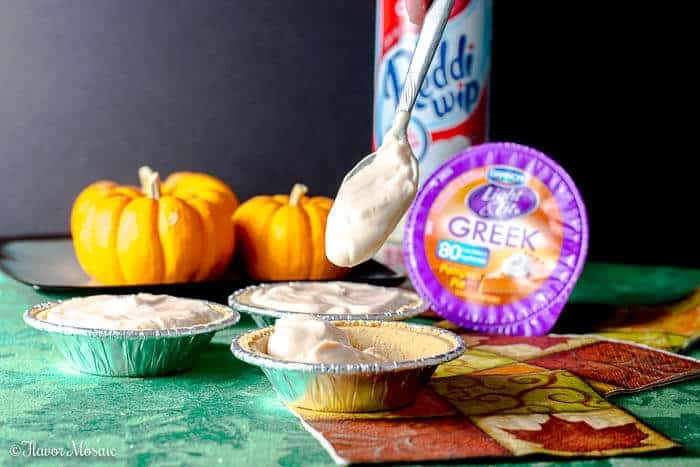 Spoon yogurt into each of the mini pie crusts. 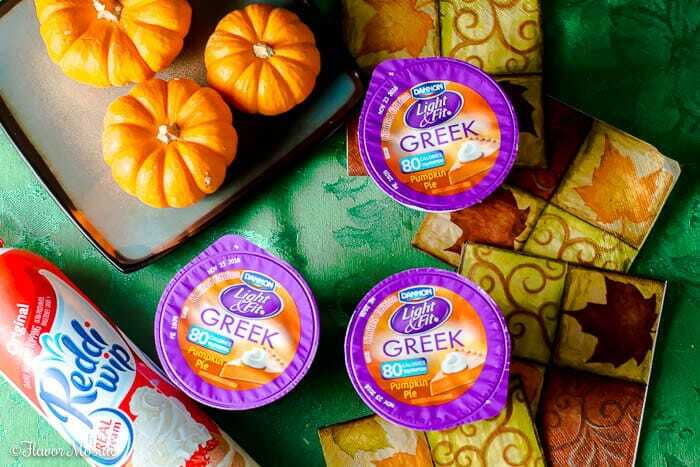 Just before serving, add a dollop of Reddi-wip® original and crushed gingerbread cookies.